As the common fact goes, up to 90% of all the information processed by the human brain is visual, so it’s no surprise that we care about our eyesight so much. Did you know that you can improve eyesight with food? Sadly, as the years go by, the risk of vision problems goes up in an alarming rate. According to the American Foundation for the Blind and the data from the 2011 National Health Interview Survey, about 5.5% of Americans aged 18 to 44 years experience loss of vision but in the 45 to 64 years group this rate is more than twice as high, at 12%. Age-related changes. Everything wears down with time, and our eyes aren’t an exception. Although we can’t stop aging, what we can do is get enough nutrients and minerals to slow down the process as much as possible. Too much or too little sleep. Studies indicate that sleeping less than 6 hours or more than 8 hours per day is strongly associated with vision loss in the long run. Of course, a single night of bad sleep won’t make you blind, but the impact of such nights builds up gradually over the years. Digital Eye Strain (DES). Using electronic devices too much is a serious stress for the eyes, increasing the risk of vision problems. This is called Digital Eye Strain (DES), and studies suggest that it can be seen in 50 or more percent of regular computer and smartphone users. Poor nutrition. There are several nutrients that are absolutely essential to keep your eyesight healthy, the most important of them being vitamins C, E, and A. Among minerals, zinc and copper are the ones to focus on if you want to improve and preserve your vision. 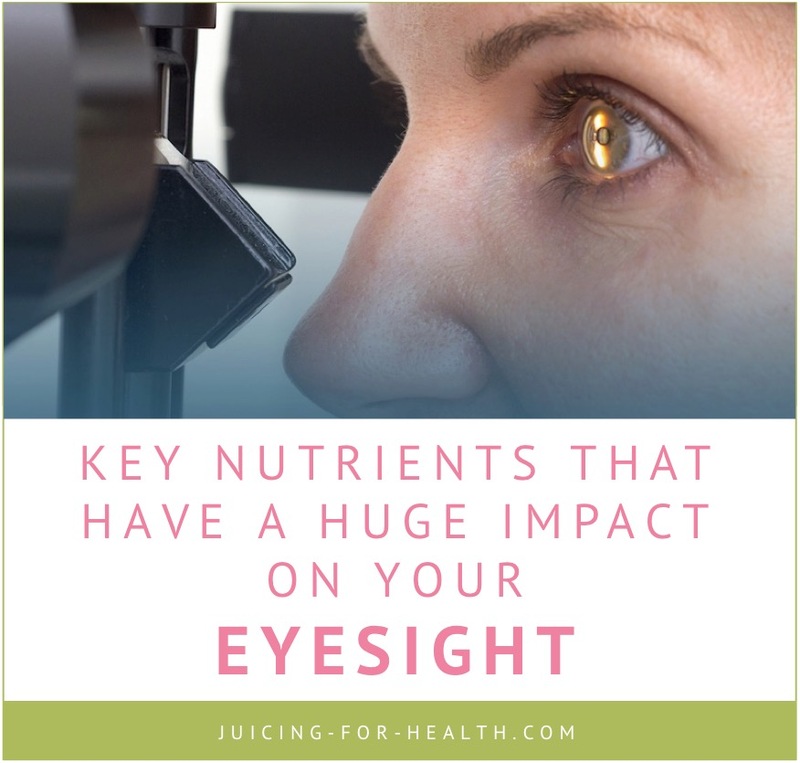 Besides the nutrients mentioned above, there are two very important substances that have a huge impact on your eyesight. They are called lutein and zeaxanthin, and studies show that if you have enough of them in your diet you can prevent vision loss and even improve your current vision! Let’s take a good look at the current evidence. Both lutein and zeaxanthin are carotenoid pigments that are already present in the retina of your eyes, specifically in the macula. 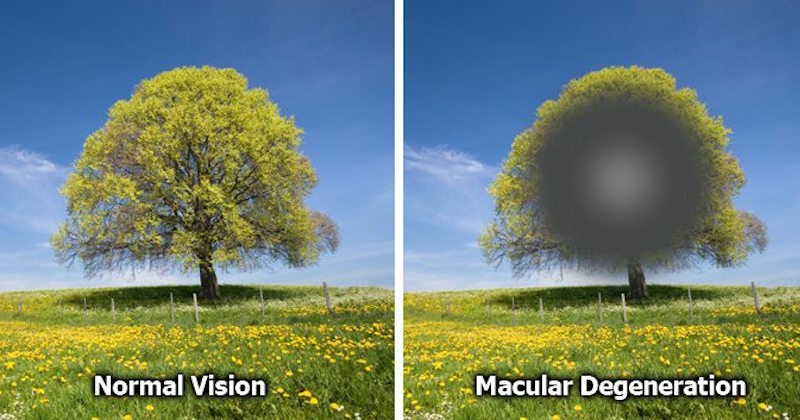 The macula is a small part of the retina responsible for high visual acuity and color vision. Zeaxanthin is concentrated in the central portion of the macula while lutein is stored on the peripheral parts of this spot. To reap all the outstanding health benefits of lutein and zeaxanthin, you have to get as little as 6 mg of them daily, but studies indicate that just 1% of men and 5% of women actually do that. And the real problem is that you can get these carotenoids only from dietary or supplemental sources. 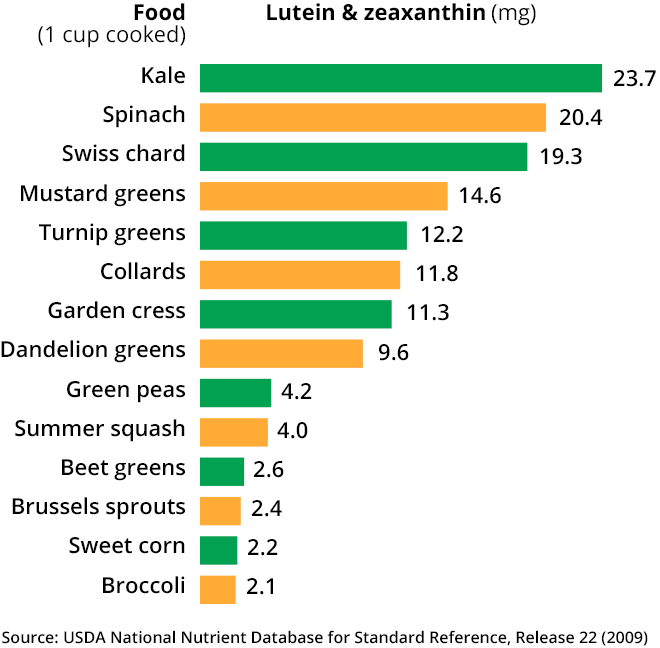 If you’re not getting enough lutein and zeaxanthin, here’s what you’re missing out. Both lutein and zeaxanthin are powerful antioxidants that alleviate the oxidative stress on the cells. Moreover, animal studies show that both of these carotenoids prevent the oxidation-triggered death of photoreceptors in the eyes, ensuring acute vision and good color perception. The blue light emitted from computer and smartphone displays causes visual fatigue, dry eye syndrome, and sleep problems. It is recommended that you use a filter on your computer, or on your smartphone apply “night mode” or “eye comfort” apps to prevent eye fatigue. If you are feeling eye fatigue that you cannot avoid, it would be wise to eat foods high in lutein and zeaxanthin, or supplementing. Studies show these pigments effectively absorb up to 90% of blue light and significantly improve visual function in people who spend a lot of time using electronic devices. Some studies indicate that higher intakes of lutein and zeaxanthin are associated with a 41% lower risk of developing the two most common age-related eyesight issues, namely macular degeneration and cataract. This is especially important for people over 40 to decrease the risk of getting cataract and for people over 60 to prevent macular degeneration. Diabetic retinopathy is a complication of diabetes caused by extensive damage from elevated blood sugar to the tiny blood vessels nourishing the retina. Lutein and zeaxanthin help reduce oxidative stress and local inflammation, and improve eyesight in people suffering from diabetic retinopathy. Uveal melanoma is a special type of cancer that affects the iris of the eye. There are a few studies that indicate zeaxanthin can kill eye cancer cells without doing any damage to local healthy cells! A study from 2017 has discovered quite the unusual effect of daily lutein and zeaxanthin supplementation in young healthy adults: it boosts cognitive function! Throughout one full year of supplementation, the participants of this research have experienced improvements in spatial memory, reasoning, and complex attention. Maybe this has something to do with improved eyesight, but may as well be a bonus effect of these amazing carotenoids! Perhaps thanks to their antioxidative properties, both lutein and zeaxanthin were proven to improve skin conditions by reducing local inflammation. They also block (to a certain extent) the formation of melanin in the skin, resulting in a lighter and more even skin tone. Besides eating foods high in lutein and zeaxanthin, there are many other things you can do to save your eyesight. Limit your exposure to digital devices and follow the 20-20-20 rule to reduce digital eye strain: after every 20 minutes looking at a screen, do a pause and look at something at least 20 feet away for at least 20 seconds. This should be enough for your eyes to relax and prevent eye stress from building up. Don’t read in dim light. Although this doesn’t damage the eyes directly, it still causes eye fatigue and may worsen any current conditions. Another tip to help your eyes relax and prevent eye strain is to practice eye exercises regularly. The most popular ones consist of looking at something near you and then refocusing to something far away and repeating this process 5 to 10 times per exercise session. Alternatively, you can trace imaginary symbols (like the figure eight or the alphabet letters one by one) with your eyes. Don’t forget to wear sunglasses. Ultraviolet radiation is a known risk factor for many eye conditions including cataract and macular degeneration. Related reading: 4 proven methods to improve your vision naturally. The recommended daily intake of lutein and zeaxanthin for decreased disease risk and improved eyesight is at least 6 mg for both men and women. There are no known side effects of toxicity related to lutein/zeaxanthin intake, so don’t worry about going over the top, especially when they derive from natural food. In general, to get enough of these carotenoids you should eat dark leafy vegetables (for lutein) and bright yellow, orange, and red vegetables (for zeaxanthin). 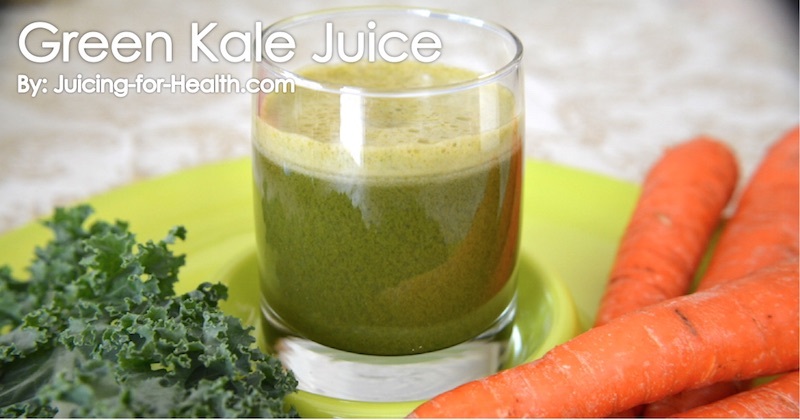 One of the best ways to get maximum of these eye nutrients is by drinking green juices. Alternatively, you could take a lutein or zeaxanthin supplement. I recommend getting the Puritan’s Pride Lutein with Zeaxanthin that works really well to reduce the progression of eye problems. In some cases, these key nutrients may even reverse the symptoms. Although lutein and zeaxanthin aren’t an overnight fix for blindness, they can surely help with many eyesight issues from macular degeneration to diabetic retinopathy and cataracts. And they’re fairly easy to incorporate into your diet, with all those delicious vegetables from the list above! Of course, for added effect, don’t forget to follow the additional tips to help you improve your eyesight, stay positive, and keep your nutrition as natural and simple as possible.